Shut off the AC – Your air conditioner places more pressure and work on your engine; turn it off. Turn on the heater – Pulling heat from the engine and into the cabin of your vehicle, the heater may cause you some discomfort but will reduce the temperature of your engine. Pull over and shut down – Immediately find a safe area to park in order to give the engine a chance to cool down. Give the vehicle time to cool and for steam to clear before popping the hood. Check for coolant leaks but be very careful to NOT open the radiator or coolant bottles as the relieved pressure could present health risks. Add coolant – After the appropriate wait, you’ll need to add coolant to keep the engine from overheating again. You should always keep some coolant in your vehicle for emergency situations such as these. Test it and take it easy – After the coolant has had a chance to move through the system and cool it, try driving to a local auto repair shop. If it begins to overheat again, you’ll need to pull over and find help. Don’t try to drive the vehicle anywhere. 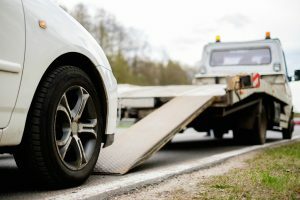 Call a tow truck – Don’t push your luck by trying to drive your vehicle any further. Repeated temperature spikes can cause irreversible damage to your engine’s components. Call for a tow truck and let them help you find a nearby auto repair facility. Remember, safety first. Never open the radiator cap while the engine is hot. Wait until the engine has cooled to add coolant to avoid cracking the engine block. If you’ve been handling overheating issues, bring your import vehicle in for a comprehensive diagnostic test. We can quickly find and fix the issue ensuring the viability of your car’s engine and your long-term enjoyment of your automobile.